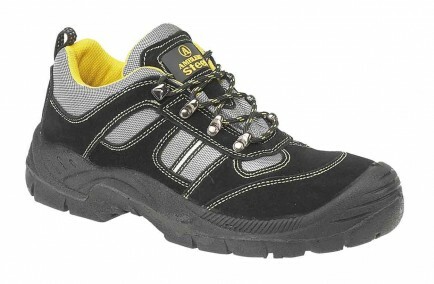 The Amblers Steel FS111 is a budget safety Trainer that offers toe and midsole protection. FS111 is antistatic with a dual density polyurethane sole and energy absorbing heel. That makes this a comfortable but hardwearing Trainer which is also excellent value for money.